Daryl Taylor (Fortune) lands a counterattack on the mask of Walter Dragonetti (Nevada Div.) 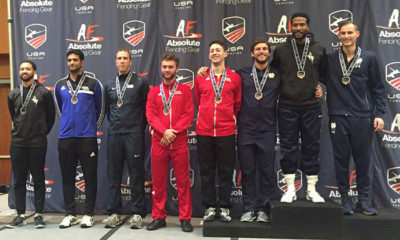 in the finals of the Vet-60 Men’s Epee event at the April NAC in Salt Lake City. 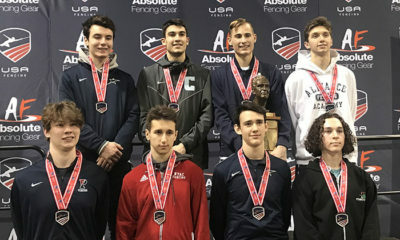 The Salt Palace Convention Center in Salt Lake City, Utah was the venue for this season’s Division I/Wheelchair National Championships and April NAC (April 12-15, 2019) where Southern California fencers made a fine showing, bringing home 20 medals in all. 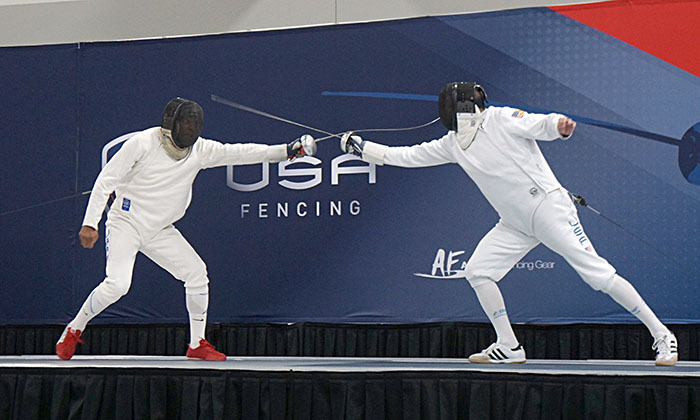 Veteran fencer Daryl Taylor won gold in the Vet-60 Men’s Epee event, defeating five-time Veteran National Champion (and two-time Veteran World Champion) Walter Dragonetti 5-4 in the finals. 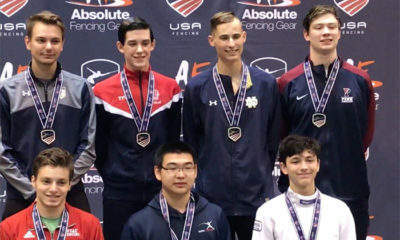 This marked the fourth time that the two had met in the finals or semi-finals of a National tournament, but the first time that things went Daryl’s way. Special recognition also goes to our two Division I National Championship medalists: Madison Zeiss (foil) and Kasia Nixon (epee). Each finished 5th. Southern California Medalist are listed below. Full Results can be found, here.